Photography is one of the most relaxing and rewarding things you can do in your spare time. While many people have turned it into their career, others are content with documenting their holidays through photos. Too often you see holiday photo albums on social media littered with images of hotel rooms, swimming pools and balconies. Photography is a means of documenting special moments and experiences from your trip, so get out there with your camera and tell a story, wherever you are. It is particularly important to capture images of special adventures that you take, like a South American holiday. 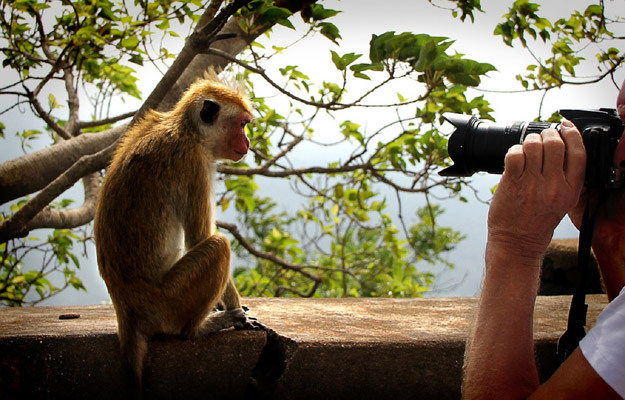 Be proud of your holiday, your adventures and your photographs by reading this guide covering everything you need to know on how to take the best wildlife photo. Photography is a brilliant way for you to get up close and really connect with nature. Arm yourself with the right equipment, mind-set and plan and you can all but guarantee some great wildlife photos. 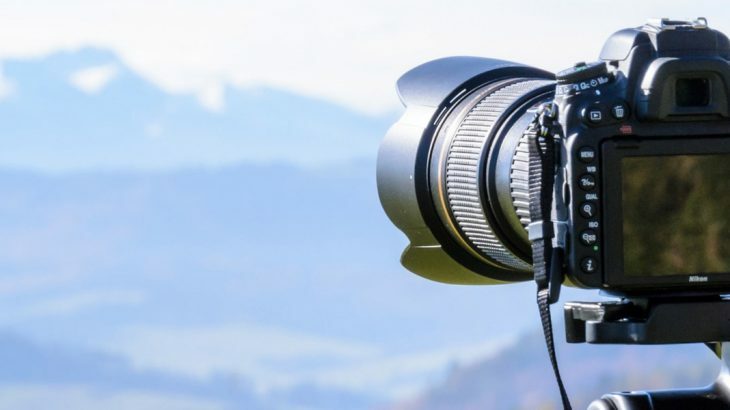 As a keen photographer, or someone who is just looking for the best camera to capture their holiday experiences, you’re spoilt for choice in terms of equipment. Taking the best wildlife photo depends greatly on your location and subject, but there are a few main things you need: a large memory card, a sturdy tripod, a pair of binoculars and a good camera with a lens. Aiming for a 300-600mm lens is advised, but as you will read further down, you will know what will suit the situation best when you have researched and prepared. The opportunity for the shot could be over in a seconds, so knowing your gear is imperative. Be aware of the shutter speed you need to catch a sharp image and how quickly you can alter it if needed, failure to do so can make you miss your chance. You never want to run out of space when you are out exploring the Galapagos Islands alongside its famous giant tortoises, when the sun begins to set over Machu Picchu, or beneath the stunning stars in the Atacama Desert. To be safe, take extra memory cards with you when you’re out taking photos and a hard drive to back-up your images. Any photographer will tell you that wildlife photography is about capturing the perfect image from a fleeting moment. You can never truly predict what your subject will do, but you can understand them and know how best to set yourself up before taking the shot. Whether you are heading out to Peru or Argentina, you should think about your topic or theme that you wish to capture. You can sometimes be overwhelmed by everything – which is not necessarily a bad thing, – but understand what you want to achieve at the end of the day. Also dress and pack accordingly. This refers to both yourself and your equipment, because you don’t want to be caught out by a sudden rainstorm that could ruin your kit and get you soaked. Check the forecast before heading out and plan around it. If it rains, make sure you have enough waterproofs to keep you dry, but also anything you may need for your camera and tripod if you think that you’ll be out in the elements. Take a look at the endless numbers of wildlife photos online and notice how many of them are at eye-level, or as close to. Getting down low allows you, as Joshua says, to connect with the subject and opens the door for anyone who looks at your photo to do the same. Patience is the greatest asset you can have in your armoury. You are forever anticipating the unpredictable, anything can happen. Or nothing. But it is how you manage these moments that makes for great photos. If you are exploring the wonders of South America you may be overwhelmed by the colour and life and rush a shot, instead go back to what you wanted to achieve before you set out. If there was a particular animal, action or scene that you wanted to capture, be patient and wait for it to happen. This is the natural world and you cannot rush it. If you don’t have an appreciation of your subject, you will not be able to take a great photo. 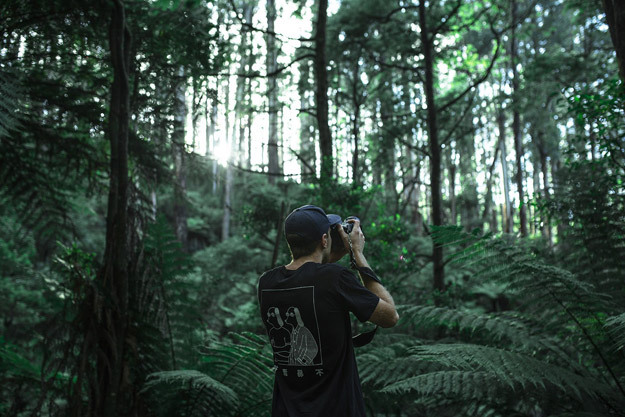 This doesn’t mean that you spend hours admiring it without taking a shot, but you have to appreciate its beauty and more importantly appreciate that you are stepping into their habitat. “I believe that great wildlife photos must begin from a deep respect and admiration for the animals you are traveling to see. It’s only natural to want to get up close to wildlife out of pure curiosity, but it is vitally important to not upset the balance of this environment. If you can go about your business quietly, peacefully and respectively the animals will be calm and happy and other people who are there will also be able to enjoy their time. Despite having a low biodiversity, the species that do live on the islands thrive and some can only be found on this archipelago. The Galapagos has a place amongst the most significant on Earth for wildlife and is of course the birthplace of Charles Darwin’s The Theory of Evolution. Each island is filled with friendly inhabitants with friendly inhabitants, making the Galapagos Islands a must-visit location for animal lovers and wildlife photography enthusiasts. It is one location where you really don’t know what to expect, so pre-planning is essential before taking photos in the Galapagos. The islands themselves do not have many large animals, so if you are looking to capture some of its most famous inhabitants over its scenery, remember to get down low. 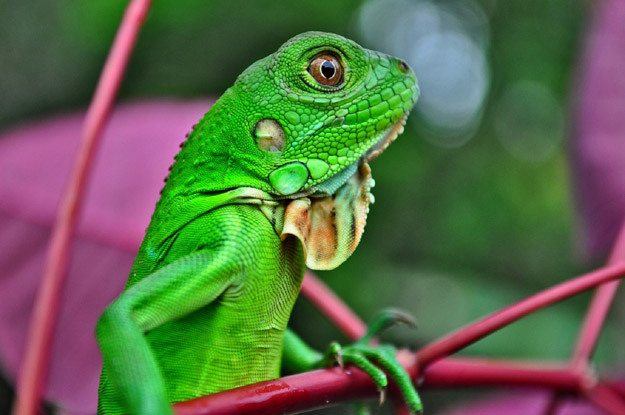 If you can crouch or sit you can get eye-to-eye with the likes of the giant land turtle, or the vividly coloured iguanas. But you should never ignore the stunning setting of which you are in. The archipelago is one of the most dramatic and diverse landscapes on earth, and can pave for stunning shots. Consider the background in your shots – take a step back and have a look around. This is where patience comes in again. You’ll be able to take many close-up low photos of animals, but if you wait, you will be rewarded with some stunning sunset images. 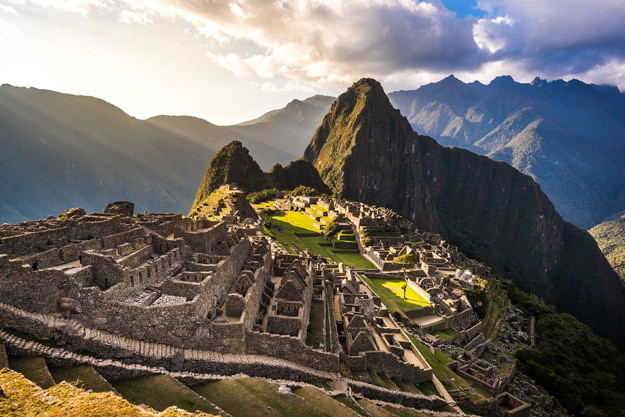 As one of South America’s most iconic destinations, Machu Picchu is a place like few others. The Inca city is the most well-known archaeological site on the continent and sits 2,430m above sea level, amongst the light grey mist of the clouds and the eerie beauty of the mountainous forest. A UNESCO World Heritage site covering over 30,000 hectares, Machu Picchu was built in the fifteenth century by the Inca Empire, before it was conquered by the Spanish in the sixteenth. However, the sacred location was kept a forgotten secret until 1911, when the rest of the world found out about its existence. Now, it still holds its ghostly majesty. The 200 structures high upon the hills in Peru offer an incomparable location for wildlife photography. This ancient site is a prime location for Peru’s famous Llamas and Alpacas, while the spectacled bear and beautifully bright coloured birds live amongst the tree tops. Machu Picchu is truly appreciated from above, where you can incorporate not only the dramatic architecture, but also its setting. Mountains line the backdrop, while a deep-green forest creates a clear divide between the sky and earth. But the two best times to take photographs here are at dusk and dawn. Not only will you beat the rest of the holidaymakers, but you will be treated to a pallet of warming colours of the sun and sky. Don’t be put off by a misty morning either. Mist, while temporary, perfectly encapsulates your location and your patience should allow you to find the perfect shot to accommodate it. Don’t let the vibrant charm of Buenos Aires distract you from discovering a country that boasts one of the most striking landscapes on the planet. 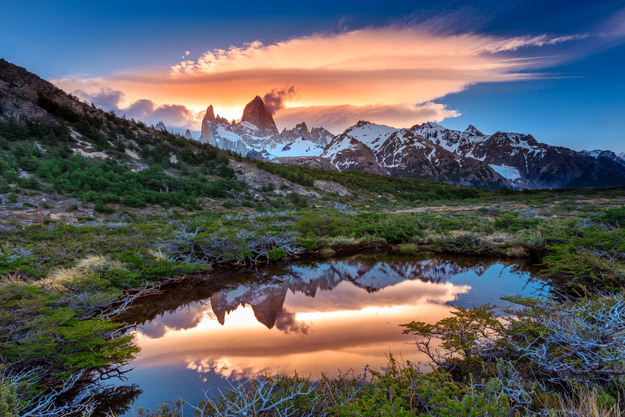 Argentina is a country passionate about football, fine wine, beef, but you’ll fall in love with natural beauty of the southernmost part of South America. Travelling through Patagonia is like travelling through the somewhere from Lord of the Rings or Games of Thrones, and it is easy to focus on predominately wide shots. You will be forgiven for taking stunning shots of the mountainous expanses, but remember that a photo becomes more interesting when you add a subject. Fortunately, Patagonia is home to some truly magnificent wildlife. Take the Andean condor for example. As one of the largest flying birds on the planet, their mighty wingspan can measure over 10 feet from tip-to-tip as they glide through the skies. Sadly they are classed as near threatened, but this large South American cousin of the vulture can be regularly spotted flying in Patagonia. With the largest wing area of any bird, they aren’t hard to spot, but catching a good quality photo can be challenging. Ensure that you have a quick shutter speed and that you are patient. Professional photographers who travel to this corner of the world often wait for the “golden hour”, a period of amber lighting that occurs around dawn and sunset. This special light makes for a glorious colour in your photos and is preferable to the strong sunlight which can bleach your images. 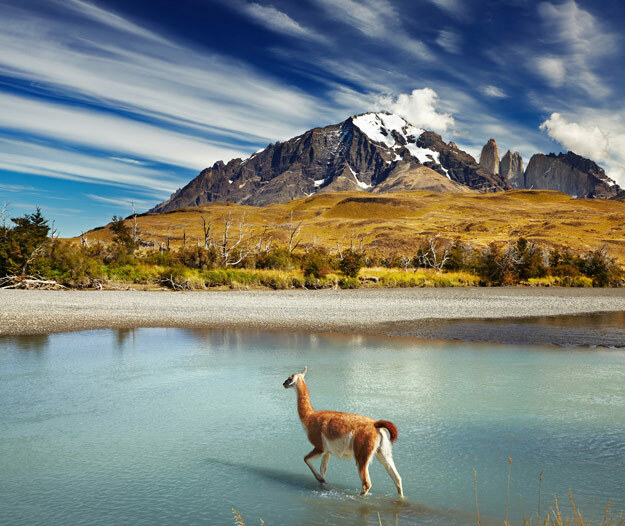 You may think that the vibrant, carnival atmosphere of Brazil, the plethora of wildlife in the Galapagos and the rainforest soaked mountains of Peru all make for better destinations than a desert in Chile. But the Atacama has an ace up its sleeve. When the sun falls behind the horizon and the sky turn a dark inky blue, the desert reveals its star attraction. This stretch of northern Chile is one of the best places on the planet for stargazing and for simply marvelling at the night sky. Boasting more than 300 clear nights a year, you can bear witness to the some of the largest galaxies in the solar system, the centre of the Milky Way, nebulae and more vividly clear stars than you have ever seen before dotted across a beautiful blue blanket. South America is staggeringly diverse, beautiful and dynamic. With the opportunity to explore luscious forests or step into the heat of the world’s driest desert, there are so many great opportunities to taking a fantastic wildlife photo. And now you are armed to the teeth with the best knowledge and advice before your South American holiday. Book an escorted tour to South America with touring specialist Wendy Wu Tours. Our inclusive tours visit all the major sights of your chosen destination for an unforgettable holiday. South America nature, photography. permalink.